I have no words today! 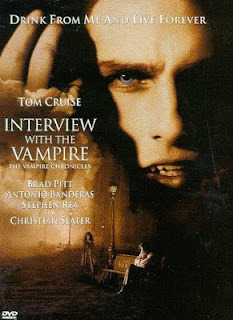 Great Minds Think Alike and Vampires! I'm over at Smart Girls Love Sc Fi and Paranormal Romance again! Guest Blog- Christopher Beats - I am not an Engineer. I am not an engineer. I know several and what's more, they tend to read my stories. None of them are soft spoken, either, creating a kind of pressure--amplifying the pressure that's already there really--to get my science right. They are the gearhead angels on my shoulder. Or demons, if you're a Luddite. I'm also not a Luddite. In fact I try to be a very science-minded person. Though my background is in liberal arts, I enjoy reading Astronomy and Discover and that magazine the Smithsonian Institute puts out. When a friend sends me an article about photosynthesizing salamanders, I pounce on it like a hungry jaguar. So there is a certain lingering guilt in me when, while writing, I violate the laws of physics, biology or good sense. But as an author (not to mention a reader), I know that sometimes science can get in the way of a good story. People enjoy learning but that isn't why they buy novels. This isn't a new dilemma, of course. It's not even unique to fiction. When Gordon Lightfoot was composing his masterpiece “The Wreck of the Edmond Fitzgerald,” he had problems getting his lyrics to jive with reality. He was only able to finish his song after a friend of his told him to drop the history and let his creativity guide him. Steampunk is a thorny genre, even more so than other speculative fiction. We're looking at what could have been instead of what will be or even what was. That means we have lots of sources to look at for inspiration, from the actual technology to the speculations of 19th century authors. The problem arises in combining those two sources to create a coherent system. I posed the question of Science vs. Steampunk on several forums and not surprisingly, most people answered that the most important thing, by far, was a system that was coherent and consistent. 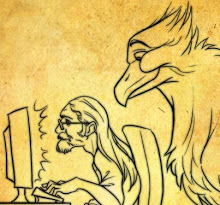 The best works have a rational system, a system that the readers get to know well enough that they feel they can predict what will happen next. The best outcome, of course, is to make the reader feel so entrenched in your system that they can make predictions…but then sideswipe them with a logical but wholly unexpected surprise. 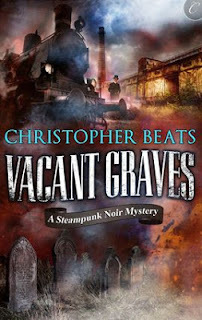 I'd like to thank Christopher for stopping by His newest book Vacant Graves is out now. You can also find Facebook. Lions and Tigers and Bear Cubs, Oh My! From time to time on this blog you will find this series, Things I want my girls to know. My girls are thirteen and seven. They have very different personalities. They have been raised along the guidelines which were set down by my mother, my grandmother, my aunts and my great aunts. You’re probably saying to yourself, that’s a lot of female relatives. I have many, and they are vocal. However my girls have also been raised according to my husband’s beliefs as well. I bought a scrapbook for each of them a few years ago. When I bought them I had grand ideas of sitting down and making them each a scrapbook. The scrapbooks have sat at the bottom of my closet. The idea however has been percolating in my mind. When I left home I was a sheltered openly vulnerable seventeen, who had never been away from home or family at all. I cried for two weeks, but I was determined to make it on my own, so I pushed forward. I want that for my girls that tenacity, that ability to feel fear and still move forward. I wasn’t prepared for what living in a new country and culture would mean. My mother stricken with cancer at the age of thirty two and orphaned at the age of five had been over protective. This is not a criticism. This is a statement of fact. Her upbringing via maiden aunts and her illness drove her need to protect her children with everything inside her. I too am over protective. I have only let my older daughter attend a sleep over once, and only with people that I’d gotten to know well. I want my girls to know, that I like my mother before me care about happens to them. I want to protect them, to shelter them from harm. But, I promise that I will try not to shelter them so much that they have no skills to survive in the real world. I'm over at the smartgirls Love Sci Fi blog again. Today I'm discussing, what a paranormal girls trip would look like. So join me over there for a Paranormal Weekend Getaway. 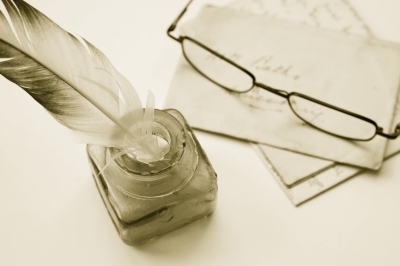 I'm rewriting a short story I'd previously submitted to a publisher called Mental Health Day. What genre does your book come under? How did you come up with the idea for Mental Health Day? The idea started to percolate when someone said they needed to take a mental health day. Add to that a publisher putting out a call for for stories based on or around a guilty pleasure and there you have it. Artist Nikki Browen, is struggling with her day job and her attraction to her boss Jackson Durrant. Jackson has everything but the woman he wants, but in the process of pursuing her he finds out that's not all he wants. Can you tell us some more about Mental Health Day? Yes it's about the romance between Jackson and Nikki, but it's also about being brave enough to take a step into the unknown. No cover just yet, still working on getting it published. And what else do you have in the works? I'm tagging Christopher Beats for this. I'm over at the Smart Girls blog today talking about Diversity in the undead world.